FTC disclaimer: This is a sponsored post from U.S. Cellular. I was a caregiver for my mother for years. One of the things that was difficult for her was making the switch from a land line to a cell phone. I wish I knew then what I know now about mobile phones and the elderly. Now just over 40% of adults 65 and over have a smart phone. That is up from 18% in 2013! It's no wonder either with all the features the iPhone 8 Plus and the Samsung Galaxy Note 8 provide. For many seniors, they may have difficulty with eyesight, hearing, or dexterity. That can intimidate some shoppers. Most smartphones have an "Accessibility" option in the settings where users can increase font size, activate high contrast and set voice controls! I have a friend a friend who is deaf, and would you believe she has a smartphone! Did you know that most smartphones now allow closed captioning and LED flash notifications. Of course, she uses text to communicate. Reality is, even if someone is totally deaf, a smartphone can open up a world of communication to them. This is available on all Samsung smartphones. You can enlarge icons, numbers on the dial keypad, fonts in apps, and simplifies the home screen layout. With this feature it pares down options and features such as the camera. You can even swipe the home screen to the right and see a listing of 12 favorite contacts so they don't have to access their entire contact list. The iPhone Accessibility option allows users to makes text larger, bolder and makes navigation controls more prominent. There is a "speak" function which allows users to highlight a section of text on any web page and a speak button will pop up. When that button is tapped, it will allow Siri to read the text to the user. Tap the Settings icon and select General Settings. Enable Speak Screen and use two figures to swipe from the top of the screen to hear the content of the entire screen. If small text is an issue for seniors, activating Zoom in the Accessibility menu allows users to double tap three fingers on any text to have it enlarged. Users can also enlarge app icons for easy visibility. Select Display Zoom to enlarge app icons. Also, don't forget you can prevent push notifications from popping up on your phone. These are the notifications that show on the home screen. Examples can be weather or news alerts. Apps with many notifications and become overwhelming, so don't forget these can be turned off so the user only receives notifications of phone calls, text messages and other apps that they do want notifications for! 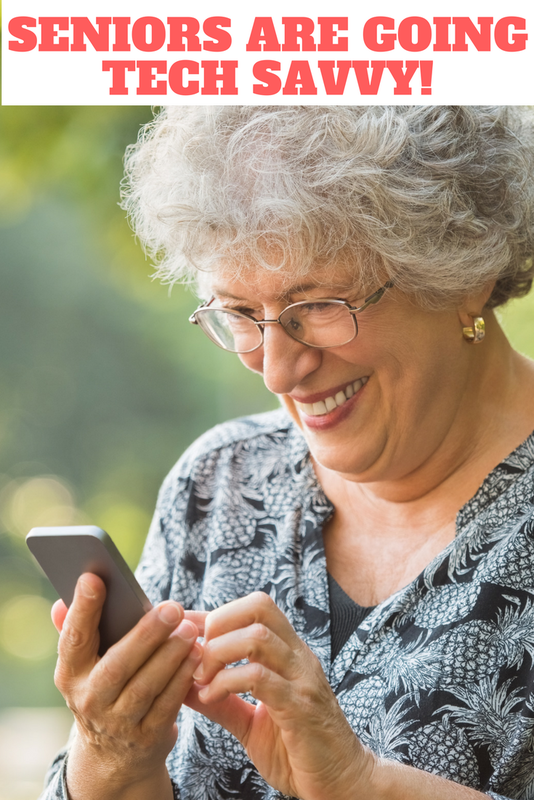 Helping an elderly person pick out a phone that is right for them can have all kinds of benefits. They can stay connected to family and friends, take photos, and even communicate with grandkids or other family through social media. When my grandfather didn't have much time left, one of his sisters was not able to make it in to visit as she lived several states away. They were able to talk over a smart phone and be able to visit which they could not do physically! Technology was such a blessing then, and I'm sure many seniors, once they are shown how simple it really is, will be thankful for their smart phone!